Garlic Coriander Triangle Parathas or fried Indian bread | Authentic Vegetarian Recipes | Traditional Indian Food | Step-by-Step Recipes | Give Me Some Spice! There are loads of Indian breads such as rotis, naans, parathas, puris etc. which are served with curries. Some of the breads are fried in oil or ghee, some cooked on a tawa (griddle) and some baked in a tandoori oven. Some breads are stuffed with vegetables, herbs or cheese and some Gujarati delicacies called puran poori are stuffed with sweet lentils. 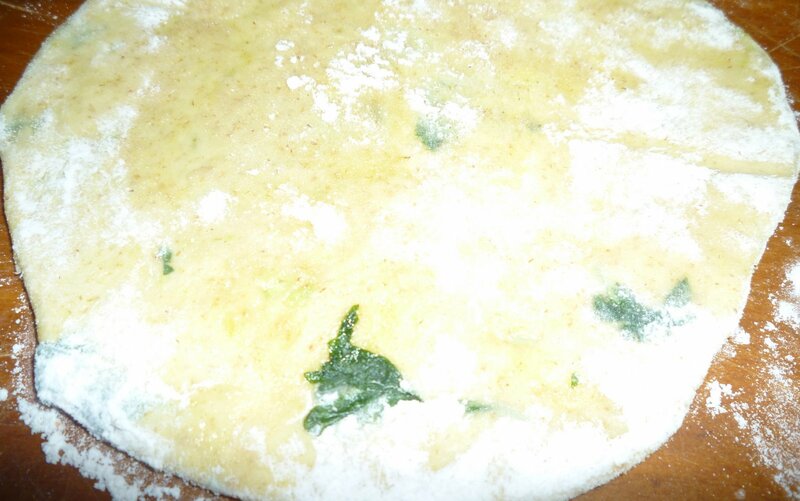 This recipe is adapted from the plain paratha recipe. I started making these parathas when my kids were young and fussy eaters. Not sure whether it was the taste or the triangle shape but they used to eat them up. I still continue to make them as they love them so much. 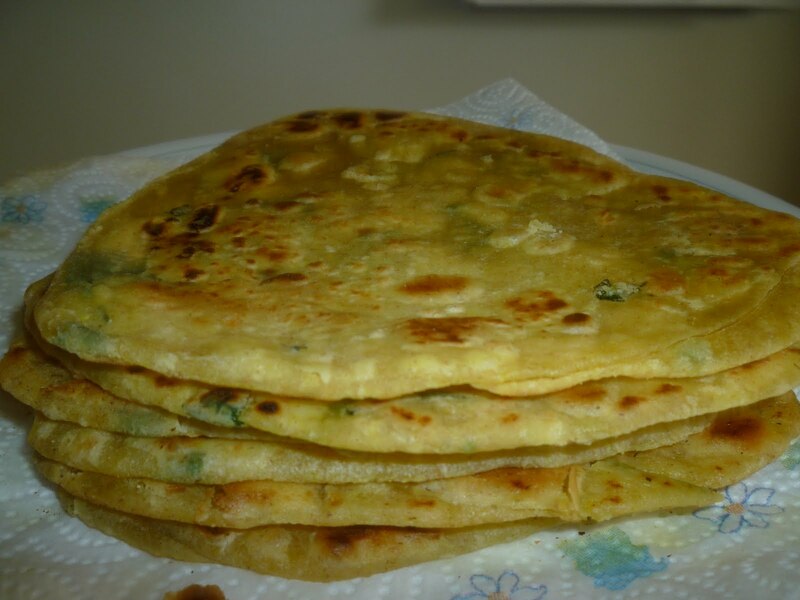 Garlic Coriander Triangle Parathas or fried Indian bread become quite a talking point when I make them for my guests. 1. Sieve the flour into a mixing bowl. 2. Add the salt, turmeric, garlic and coriander to the flour. 3. Add 3 tablespoons of oil to the flour. 4. Gently pour warm water to the mixture to form a nice pliable dough. 5. 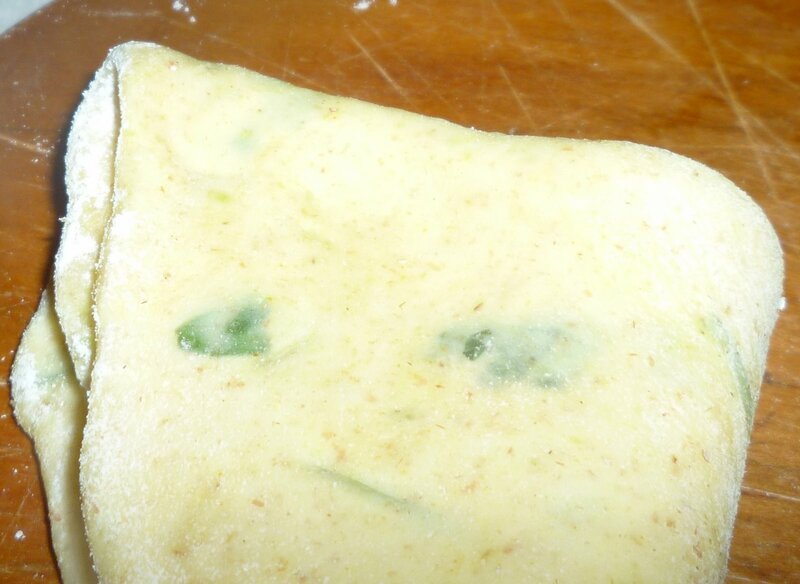 Cover the dough for 30 minutes. 6. Divide the dough into small balls – slightly bigger than golf ball size. 8. Using a brush, slightly brush some oil on the Paratha or and sprinkle some dough on it and fold the paratha in half. 10. 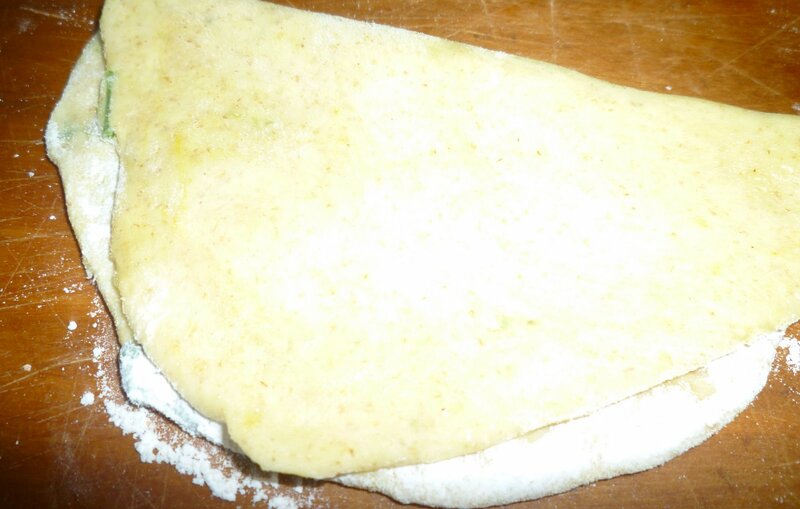 Sprinkle some flour into this triangle and roll it out again. 11. Fry this Paratha gently in a frying pan using a minimum amount of oil. 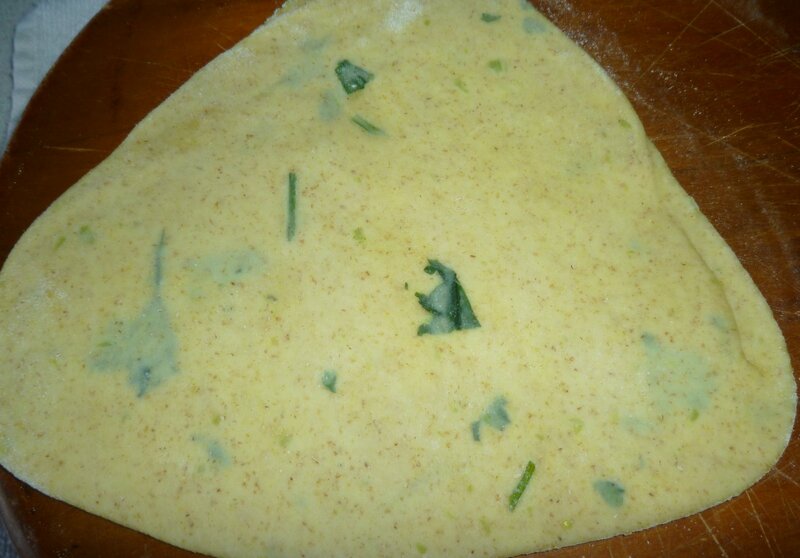 Making these Garlic Coriander Triangle Parathas this way, makes them crispy and fluffy when lightly fried. This can be served with any curry.